Neurodiagnostic testing involves a range of tests which are designed to examine the function of the nerves, muscles and brain, usually by stimulating and recording their electrical activity. 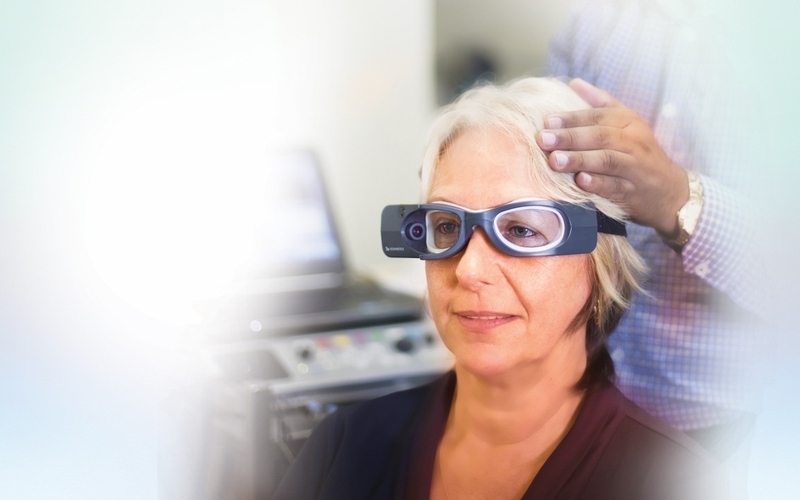 These tests include Nerve Conduction Studies (NCS) to measure nerve function, Electromyography (EMG) to measure nerve and muscle function, Electroencephalography (EEG) to assess brain function, and Evoked Potentials (EP) to measure the brain's response to various sensory inputs, like vision or hearing. 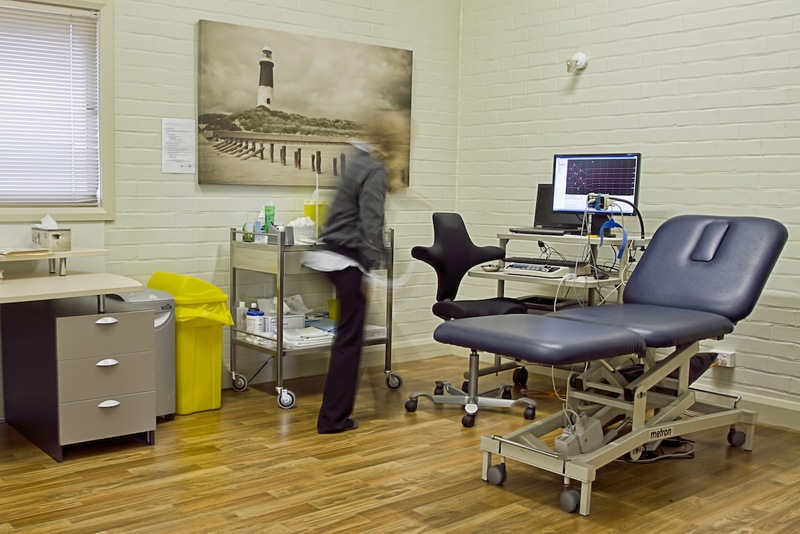 Your neurophysiology technician will use specialised computerised equipment to record the information, under the supervision of a Neurologist. A detailed analysis is undertaken by the Neurologist, and a report with your results is sent to your referring doctor. To measure the function of a nerve, the neurophysiology technician applies a small electrical pulse to the skin over the nerve, using a specially designed probe. The signal form the nerve or muscle is recorded on specialised computerized equipment. You will be warned when to expect the “pulses”, which can be uncomfortable but not painful, similar to a static electricity shock. The Neurologist and technician will select appropriate nerves to study depending on your particular problem. If further information is needed about the electrical activity inside one or several muscles, the Neurologist will undertake electromyography (EMG). Healthy muscle has a characteristic pattern of electrical activity. This is altered when there is damage to the nerve supply, or disease of the muscle itself. Your Neurologist can make a detailed examination of the muscle activity, using a fine disposable needle electrode. Recordings are made with the muscle at rest, and then with gently increasing muscle contraction. The needle is for recording only, no electrical pulses or injections are administered. Your Neurologist will select which muscles to record from depending on the particular problem. Discomfort from the needle passing through the skin is usually only minor, usually less than having a blood test. The examination is almost always well tolerated, and because you will be continuously in contact with the neurologist and technician, we can ensure the EMG is proceeding without problems. It is important to let us know if you are taking warfarin or other blood thinners. An Evoked Potential study records the response from the brain after a stimulus. Electrodes are applied to the scalp to record the brain response, this may require some rubbing of the skin. You can help us obtain good quality results by having clean, dry hair and avoiding hair spray or gel on the day of your test. The stimulus may be a black and white pattern for a Visual Evoked Potential (VEP), small electrical pulses for sensory Sensory Evoked Potentials (SEP), and loud clicks for hearing and balance testing (Brainstem Evoked Potentials, BAEP; and Vestibular Evoked Myogenic Potentials, VEMP). Please bring your glasses or wear your contact lenses for this test, as we will be measuring your visual responses. You will sit in relaxed in a chair in a darkened room. You will be asked to concentrate on a spot in the centre of a computer monitor while a black and white checkerboard pattern flashes on the screen. Good concentration is very helpful to ensure a good quality response is captured. Usually several recordings are made with short rests in between. This test will measure signals from the nerves, spinal cord and brain after stimulating the sensory pathways with small electrical pulses. The pulses are applied with a small pad, generally at the wrist or ankle, and cause a small muscle twitch. There is a pulsing sensation which is generally not uncomfortable, but if you have any concerns the technician is present at all times. We like to ensure you are relaxed and comfortable to obtain the best results. This test uses a rapid series of clicks form a pair of headphones to activate the hearing pathways. Electrodes applied to the scalp record a series of signals from the acoustic nerve and the brain. You do not have to concentrate on the sound, you only have to sit relaxed in a chair. The EEG is a recording of electrical activity from the surface of the brain. It usually takes about 30 or 45 minutes. A series of electrodes are applied to the scalp. Because the recording is very sensitive, this may involve some rubbing of the skin to ensure a good contact. You can help by having clean, dry hair, and avoiding hair spray or gel on the day of the examination. Mostly you will be resting quietly in a chair with your eyes closed; it is important to remain quiet and keep the head still so the recording is of good quality. The technician may ask you to breathe heavily for 3 or 4 minutes (hyperventilation), this can make you feel light head but will settle quickly. Towards the end of the testing, the brain is stimulated also with a special strobe light at different frequencies. Please let us know if you have any concerns or are uncomfortable at any time. If your doctor has requested a sleep deprived recording, you will usually have to stay up the night before and come in for your test early the next morning. Please ask for instructions from the reception staff. The system in your body responsible for hearing and balance is known as the vestibular system. 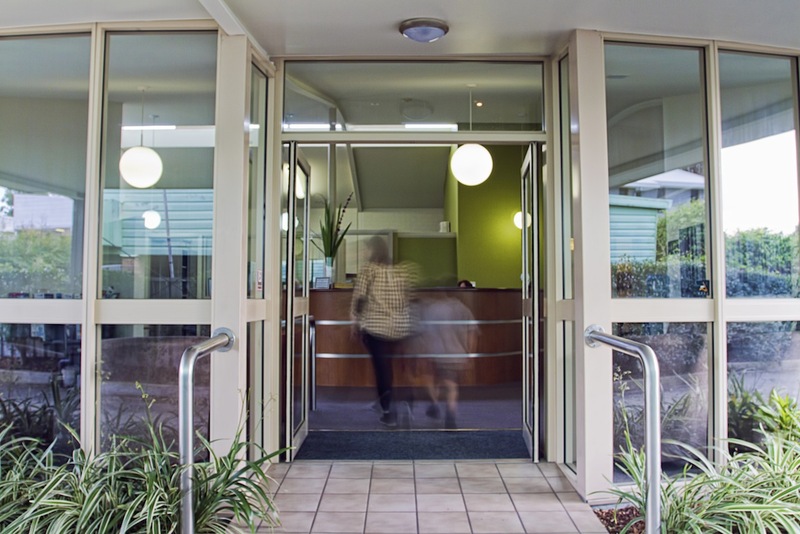 At Newcastle Neurodiagnostics, we perform a range of vestibular tests with a special interest in vertigo and balance disorders. This is a test for positional vertigo. You will be asked to lie back quickly, keeping the eyes open, while the technician monitors the eye movements using infra-red video goggles with computerised analysis. Please let us know if you have back problems or other limitations. You will be asked to track a video target with your eyes. The speed and accuracy of the eye movements depends on a well integrated normally functioning balance system. This test utilises warm and cold water irrigation of the ear canals to stimulate the organs of the inner ear. 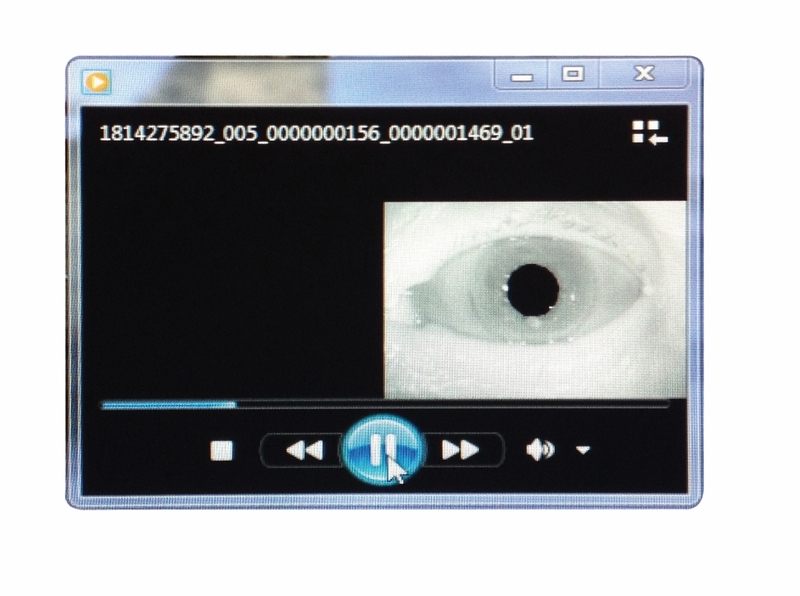 The responses are recorded by tracking the reflex eye movements using computerised video goggles. It is normal to feel dizzy during this test, the sensation is like spinning around quickly, then stopping. It passes quickly. The test relies on having clean ear canals, not obstructed by wax. Please avoid wearing eye makeup on the day of the test for clearer eye movement recordings. For a Cervical Vestibular Evoked Myogenic Potentials (CVEMP) test you will be asked to hold the head up off the bed for a short period of about 30 seconds. The balance system is stimulated, using loud clicks via headphones, or brief forehead taps using a Doctor's reflex hammer. The responses are recorded from the neck muscles, using metal discs applied to the skin. The Ocular Vestibular Evoked Myogenic Potentials (OVEMP) test is a newly developed technique which allows us to measure the response from a specialised part of the inner ear balance organ known as the utricle. Short taps to the forehead with a computerised version of a Doctor's tendon hammer are used to trigger a response, which is recorded from electrodes applied to the skin just below the eyes. Some disorders of the balance system will distort accurate perception of vertical or horizontal. In this test, you will be asked to set a bar as close to horizontal as possible. Small inaccuracies are measured using a computerised sensor. A brief hearing test is administered to assist with interpreting the results of the balance testing. Sometimes this is combined with a Brainstem Evoked Potential, this test is described in the section on Evoked Potentials above. © 2013 Michael Katekar PTY LTD. All Rights Reserved.